How to enable administrator account (hidden) in Windozws 7, 8, 8.1, Windows 10, Windows XP, Windows Vista? 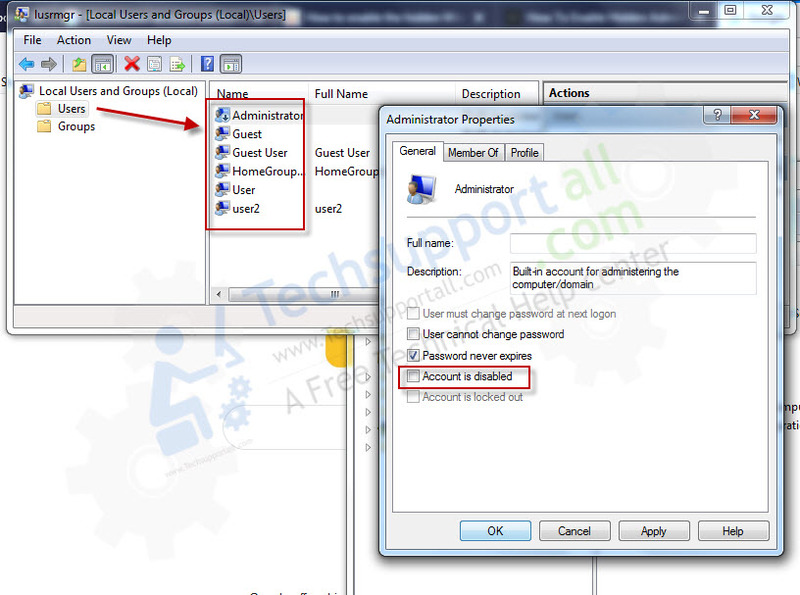 Sure, we’ll help you to enable or disable the administrator user account (default user). The built-in Administrator account is disabled by default. If you need it, then you can enable it anytimne by following the simple command easily. Below, we have provided the proper command so that you can run the command into the command prompt (MS DOS – CMD) to enable administrator user. If you are looking forward for the automatic method to do this, then you can easily do this by using the “.bat” file from the method1. In method2, you’ll get the manual commands to activate the administrator account. Opt one method from them and then follow the below given instructions. Download and Run this “activate_administrator_user.bat” file and make your administrator account active in login screen. Click here to download activate_administrator_user.bat to enable the Administrator account. Click here to download de-activate_administrator_user.bat to disable the Administrator user. For Windows 10, 8, 8.1, click on Start button and type “CMD” in the search bar. Windows 10 will find the CMD.exe on the top. 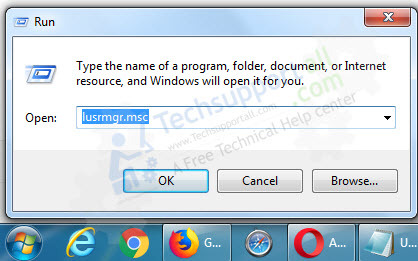 Now type this following command into command prompt window and then hit enter key. You’ll get the message “The command completed successfully” it means your administrator account has been activated. The Administrator account should be present on yourlog in screen. If you’ll get this message “system error 5 has occurred – Access is denied, it means the command prompt (CMD) did run in administrative mode. First of all open this command prompt in administrative mode then re-run this command again (Click on start button, type “CMD” in Right-click on that and choose “Run as administrator). If you want to disable administrator account then type this following command in CMD. When done, logout of theAdministrator account. The Administrator account should not be presenton your log in screen. Hopefully this article helped you to enable or disable the administrator account on your logon screen on Windows 10, 7, 8. If you have any question regarding issue, please let us know in the comment section below. “I get System error 5 has occurred. I get this even when opening command prompt as administrator :(. System error 5 means you don’t have admin rights. Please run your CMD with administrator privileges (Run as administrator). i do same but when i right click on that cmd and choose “Run as administrator” than that time also am getting yes are no permission access window is appear,but yes option is disabled. It means you are not an administrative privilege user account. And without administrative privileges you can do anything. Sorry we can’t help you on this particular situation. my admin is no active,yet,some of my pc programmes are lock within the admin. and i cant upgrade my anti-virus for the worst of it. pliz help me,thanks. can someone please answer ‘Cosmic Rocket’s question please? Apparently, I have the same problem too…..
You got error 5 message that means you haven’t run “command prompt” window without administrative mode. To solve that error 5 message you have to start “Command prompt(CMD)” with “Run as administator” mode. Please follow above article again. Please check your user, Are you login into administrator account ? please login into administrator account the do it again. Dude dont you get it dome of use cant run or log into a admin account do to it not being there when we try it says denied on cmd what do you do when this happens REMEMBER WE HAVE NO ACCESS TO ADMIN ACCOUNT! sorry for the caps but tired of seeing people not helping us when clearly we cant log in and need a way to get or accounts back to admin like they where before. After doing all these also still i am not able to disable or enable the administrator account and not able to install any software also. If your account have not the admin rights then you can’t do that. Sorry, It is possible on admin account. Ok thanks. The only solution about my problem is to boot again windows. I cannot log on any longer but your trick requires log-in. Eventually I managed to enable the built-in administrator account offline by booting into PCUnlocker Live CD. Thank you! I get System error 5 has occurred. Access is denied.” and when i get command prompt or Ur above step to enable run administrator, “yes” is not enable only “NO” how i get solution pls help me? If you get this following error message “system error 5 has occurred – Access is denied” while running this command, that means you have not started your command prompt window with administrative privileges or your account doesn’t have the administrative rights to do this which you have logged in right now. So please make sure, you are running command prompt with “Run as administrator” option by right click on that. Please revert back for any further help. is there a way to do it on a standard account ? now i restart my pc again n now logon screen showing this 2 accounts “shubham” and “guest” only … n not showing login for administrative account …. or what can i do without above 2 things to work it as before ..
now rstrt again n loging with administrator with same psswrd…. The problem is; I have totally forgotten my admin password and I want to reset in cmd but every time I get System error 5 Access is denied. I can neither enter with Admin previlage because it requires password nor reset in guest account. What can I do? Please help..
Hi HCB, You can reset the Administrator’s account password if you have another admin privilege account. Simply login into another admin privilege account and go to the change password option of administrator’s account. Here you easily can change the password. You can reset the password, via safemode. Heres my issue. When I installed Windows 10 I used a Microsoft account. Apparently Im not an admin on the computer. I cannot do anything that requires admin priveldges because there simply is no admin. I cant create one. I cant do anything because there is no admin account and I cant make one. To activate Administrator account you must have to login into your account which have full administrative privilege, without this you can’t active that one. and i think admin account works only in original operating system …..
my thinking is correct r im in wrong way? Did you open CMD windows using the correct method, clicking on “Run as administrator” option. If you get this access dined issue that means either you did not open CMD using “Run as administrator” command or your current user do not have administrative privileges. This thread is exasperating. I am having the same difficulty. If I right-click on “cmd” and “Run as administrator” then I am prompted for an administrator log-in and password. Under the System32 folder I am able to click on and get into the cmd prompt, but not as an administrator. I can no longer run many executable files. I have heard that malware bytes solves this problem. However, since I cannot add any more .exe file changes to the computer without an admin password, the only programs that can be updated are those that do so automatically, on a previously set schedule. “Microsoft Security Essentials” does have regular updates and scans, yet does not solve the problem. Why is it that another company has a program that evidently has been cleaning up this issue for a very long time, whereas Microsoft is not? Obviously this is a known malware problem that Microsoft has chosen not to address for some reason. I cannot get the laptop to boot up in safe mode. Additional problems are cropping up (no longer finding the “path” to a file when I click on it), and I fear that rebooting it one more time will be the end of this laptop. I have now been stalled on everything for work for weeks, and spent countless hours reading redundant articles that haven’t provided a solution without resorting to downloads (which I cannot run) or booting off of a disk that I don’t have. It would be great to have a different, workable solution. Alright, I read your message and want to know: Is your current user have “administrator privileges” or “Standard” user? Please let us know the problem what you are facing while opening up the exe files. Can you please explain how to make a new administrator using a user which is facing these admin privileges? Please do not suggest to use the user which has administrator privileges. In that case we would not raise this issue. Moreover, I need to inform you that I have never activated the default administrator so do not have password. Always installing applications using run as administrator or providing access rights. But somehow local user lost admin privileges. Now if I try to open command prompt as admin as you suggested, it requires administrator password. But as mentioned earlier, never activated default administrator and not have the password. Hope you understand the scenario now. Please turn off the UAC setting from control panel: Go to control panel –>> user account –>> change user account control setting. Drag it too never notify. Let us know if your account allow to do so. If it doesn’t work then let me know the how many accounts in your computer and their account types as well. Also let me know which antivirus are you using on this computer. My account is not allowed to access “change user account control setting”. I am using only one account from the very beginning which had admin privilege that time. But now not able to install any application using that local account. I have already mentioned, default administrator is disabled. I am not using any third party antivirus, only windows defender. Is your computer asking password when you try install any application or do anything administrative? or gives error message? It is asking password for both try install any application or do anything administrative. I have understood your issue exactly, however, as of now we have no solution of this situation because my logic is stuck at point of if we try anything manual steps or automatic tool, we need administrative password or account which don’t have. As of my assumption, might be a virus / malware have done these changes with your account. Could you please explain what happens when you double click on an EXE file? It means your current user profile which you have logged in is not the administrator account, may be it is a standard account. So please make use you login into administrative privileges account. This is the most ridiculous post I have seen. The TechHelp person did not understand the problem or the many people trying to explain. Clearly if you have the password for the Administrator account AND it is set to “/active:yes” then you can access CMD (as Administrator). In this case there would be no question or problem to be solved – you just log on! This is what Bill (contributor) tried to point out. Windows security is set so that Right-Mouse-Click on CMD for “run as Administrator” will either prompt for Administrator’s password, or the “Yes” option is denied (greyed out). If your Windows version prompts for password and you know the password and enter it, there is no problem. You can access CMD and reset the Administrator account to be visible by “/active:yes”. However, if your Windows version (such as RT 8.1) presents the “Yes” option greyed out, access to CMD with Administrator rights is not possible. The real question is this: When Administrator has been set as “/active:no”, and there is no Administrator visible as a user on Windows Users Log On screen, how can the Administrator log on? Thank you for highlighting this matter to us. We have not done any research on this, we will research on this matter and update on this page. As we keep saying CLEARLY, there is NO option (as of now OR you can say as we know) to active administrator account if you don’t have user of administrative privileges OR you know administrative privilege’s user account password. This post is only for assistance to know the command how to active the administrator account because administrator account does disable as default settings of windows. i have windows 7 professional version, unfortunately i have disabled administrator account and i also changed the password of admin account, now i have only standard user account, when i am going to run any task with administrator account then i am not able to run any task and popup windows yes tab also disabled, what should i do? Sorry to say, but as of now we don’t have solution for this particular issue. You can try password recovery tools. Hello Techexperts !, nice to meet you all , I have problem with my windows 8.1 , there actually when I’m gonna open Command Prompt (Admin) windows is saying that – ” This file doesn’t have a program associated with it for performing this action. Please install a program or, if one is already installed, create an association in the Default Programs control panel.” What should I do now ?, please tell me? , and perhaps my windows 8.1 is not activated , Is it’s the real reason for admin problem or other? What happens when you start CMD (command prompt) without adminstrator privileges? Does it give you the same error message? how when I click CMD run as administrator, it asks me to type password ? Sorry to say but there is no other option to put administrator password on it. My admin account is deleted.. Now I am using limited account.. How to enable administration permission… Please anybody and me…. Worked like a charm, and Command Prompt after scan indicated no issues. And how am I supposed to run cmd as Administrator or download things when I don’t have Administrator rights? I can’t do or run anything right now, not even reset the PC because, you guessed it, I don’t have ANY admin rights. Yes this is the fact that without admin rights you can’t do. But if you had an admin right’s account and you have lost its password then there are some software available in the market which can help you reset your password. Please let us know if this is the case. hi… i already use this way but why i can’t use my google? I got the command completed successfully message, yet I am getting permission denied message when I am trying to delete an application , I can’t change the security permissions too. can you help me to this problem. I enable the administrator account then after that I log on to the administrator account. My problem is after I log on to the administrator account I disables the administrator account then after that i log off now and enter the user account. I want to enable again the administrator account but because of that I log in to the user account I can’t able to do that. Can you help me to fix this. When you trying to do that, what it says? this is bad situation for me, i have done everything exactly the way it should be done but when i type: (net user administrator /active:yes) it says: [username has not been found] what should i do. Maybe you had changed the administrator account name earlier. We suggest you to please run the “lusrmgr.msc” command to open up the “local users and groups.” Please check out the user’s names that your computer has in locally. Here you can enable/disable the account from here as well. Please check out the pictures. Where do you get this message, in command prompt? Please explain it more detail so that we can assist you more about it. I get this in lusrmgr. When I open it there should be users but there only reads what I allready sent. Could you please provide the screenshot at info@techsupportall.com what you get in the “lusrmgr”?